Then I drag a Data Operations – Compose step on the flow. I use this to calculate the previous day. 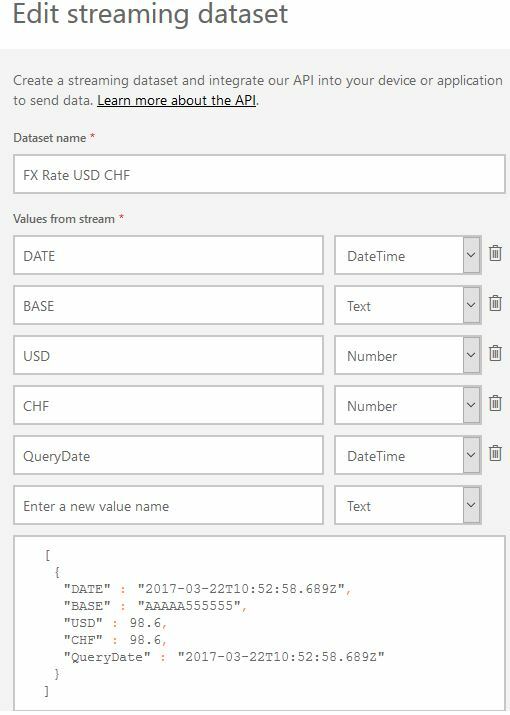 I have found out that I have to enter the expression with leading and trailing double quotes as otherwise it won’t work. I use the CheckDate variable from the previous step to get the rates for the previous day. 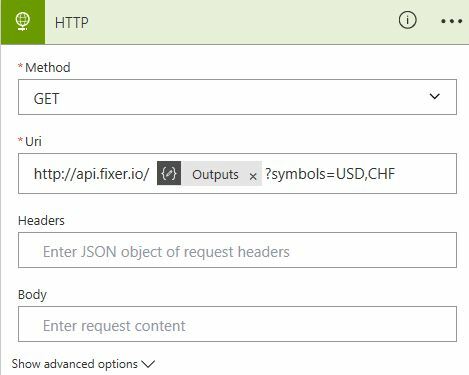 Now it’s time for the new Pars JSON step, input is the body of the HTTP step. 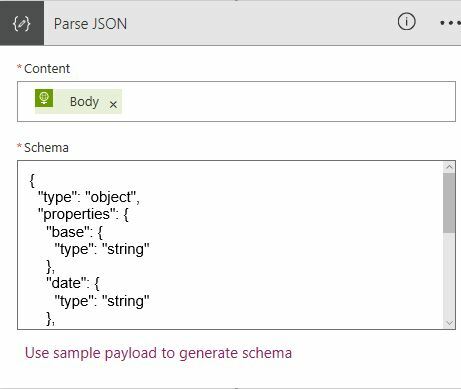 To generate the schema all I have to do is pasting the JSON returned by the API. 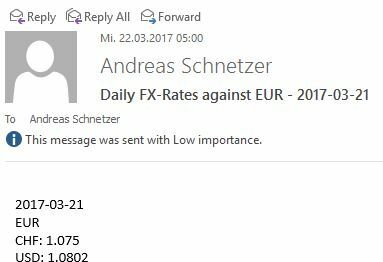 For information purposes I send myself a mail with the relevant data. 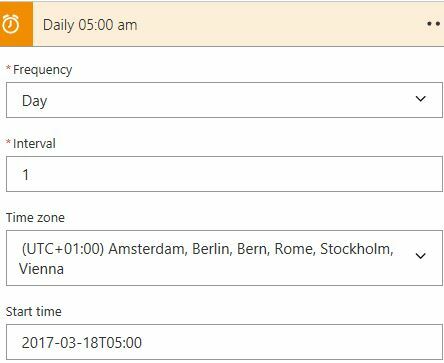 As there are only new rates for weekdays I’m using a condition in the next step. Only if the date returned is equal to the previous day proceed to the last step. 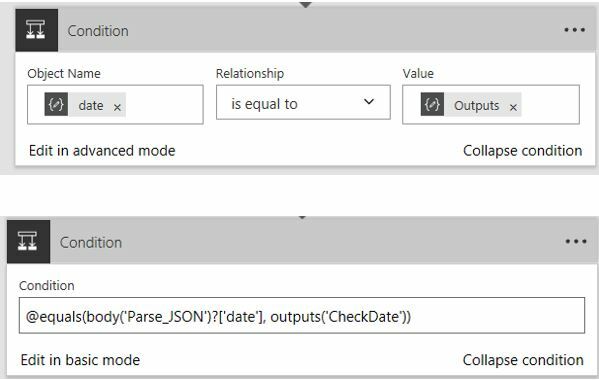 First I have to define a streaming dataset in Power BI. Again this is pretty straight forward. 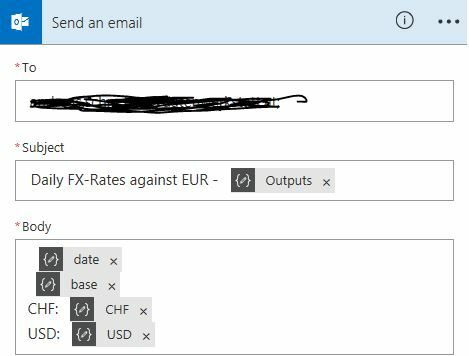 In Microsoft Flow I have defined the counter part as follows. And that’s all. 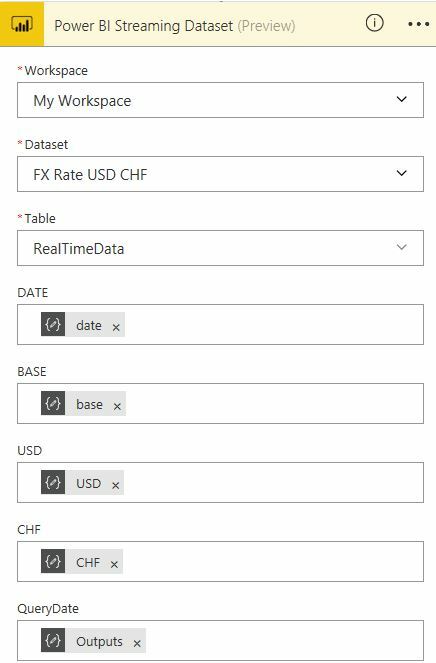 The rates are transferred to Power BI on a daily basis and only for weekdays (see the gap between 03/17/17 and 03/17/20. One problem remains. I don’t know why but Live Tiles show no data for my streaming dataset. A bug?